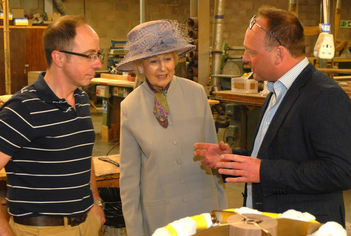 Her Royal Highness Princess Alexandra visited leading furniture maker ijlbrown in Hereford. Princess Alexandra was accompanied by The Dowager Countess of Darnley together with the High Sheriff of Herefordshire, Nat Hone, and his wife Laura and the Chairman of Herefordshire Council, Brian Wilcox. 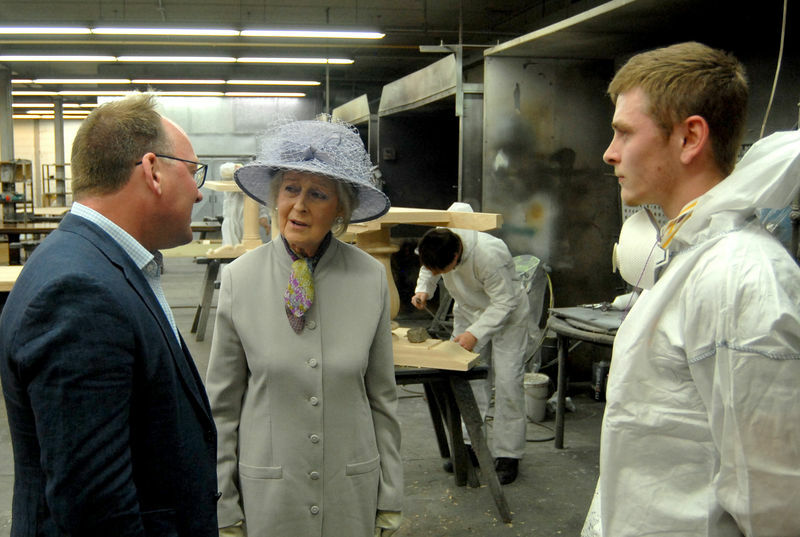 Princess Alexandra was given a tour of the furniture workshops by Julian Brown, Managing Director, who highlighted the skills of each individual member of staff together with examples of bespoke furniture made for projects such as Gleneagles, The Langham Hotel and Soho House. 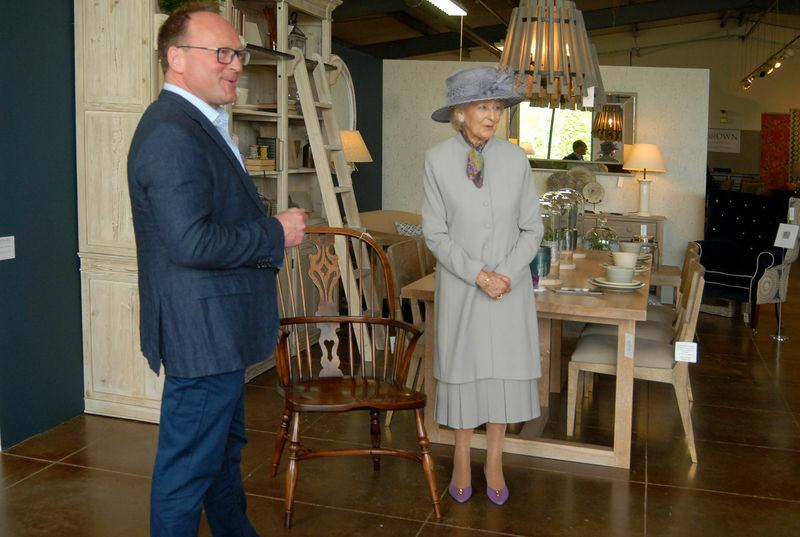 The visit concluded with a presentation of one of the company’s iconic Windsor chairs to Princess Alexandra, which was donated to St Michael’s Hospice where Princess Alexandra had visited earlier in the day.